I have created a PowerPoint Slide (PPT) describing features of SharePoint 2013. It could be useful in refreshing for interviews, demonstrating to clients, deciding on upgrade etc. Please click the link below to read.. Please let me know your comments here.. 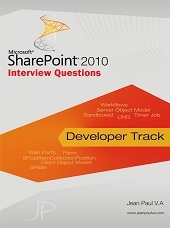 Note: Existing subscribers can register in site SharePointCTO for SharePoint 2013 articles. This entry was posted on April 21, 2013 at 9:26 PM	and is filed under C#. You can follow any responses to this entry through the RSS 2.0 feed. You can leave a response, or trackback from your own site.